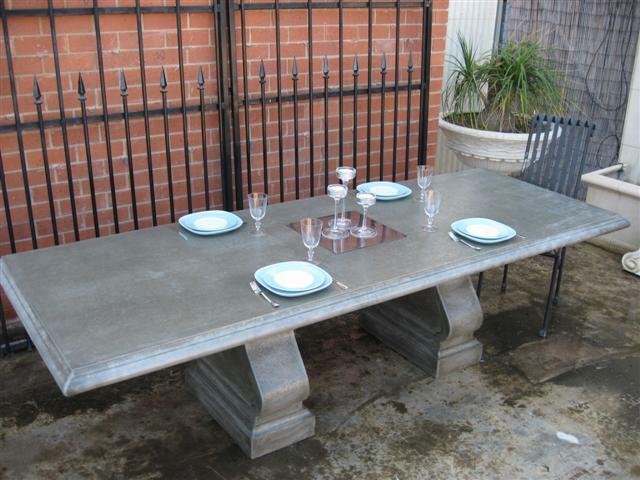 Tables are made in GRC (Glass Fibre Reinforced Concrete) and uses the experience of over 30 years of technology in its manufacture. 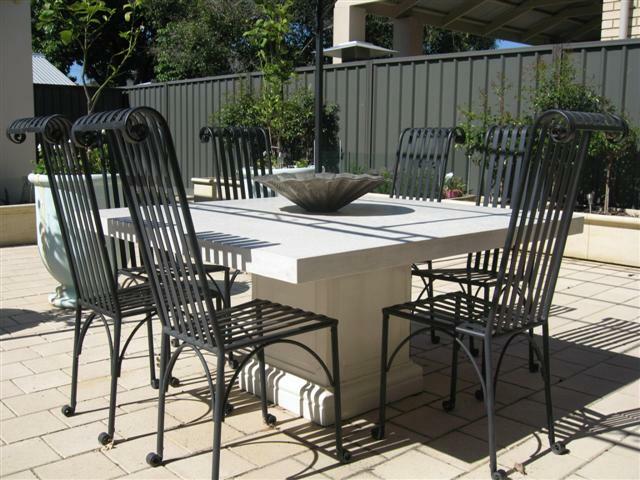 Tables are available in numerous shapes and sizes – please use the link to our catalogue to see the complete range. 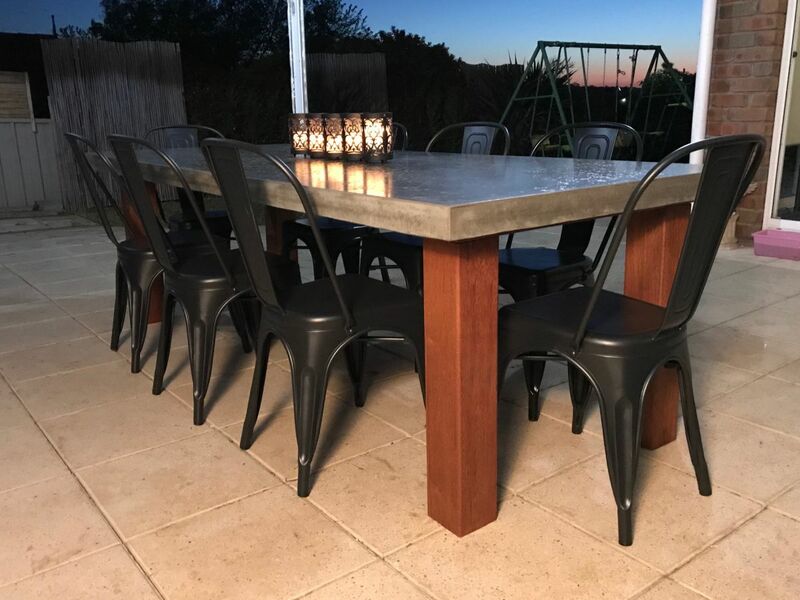 Should you wish to help protect this product from accidental staining we recommend the use of a sealer, we are able to provide information on sealers for your own application or tables can be sealed with a sub-sealer or top sealer before leaving the factory at an additional cost. 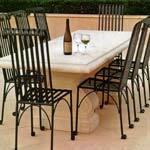 All table tops can be produced with holes suitable for umbrellas. 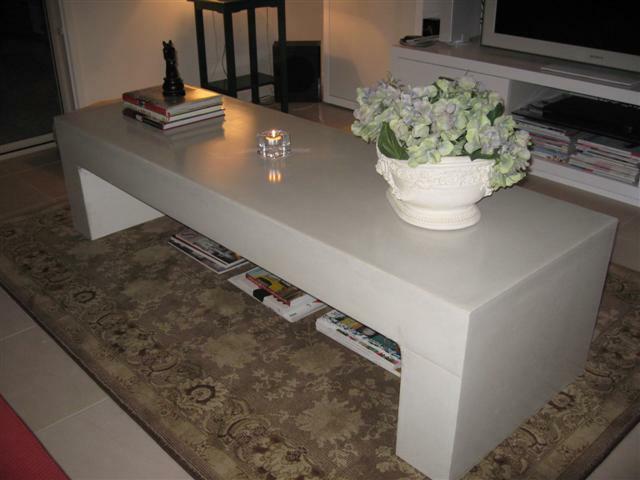 Rectangular Tables Available in Contemporary Square Edge or Bullnose – Ranging in size from 1500 x 800 up to and including 2700 x 1000. 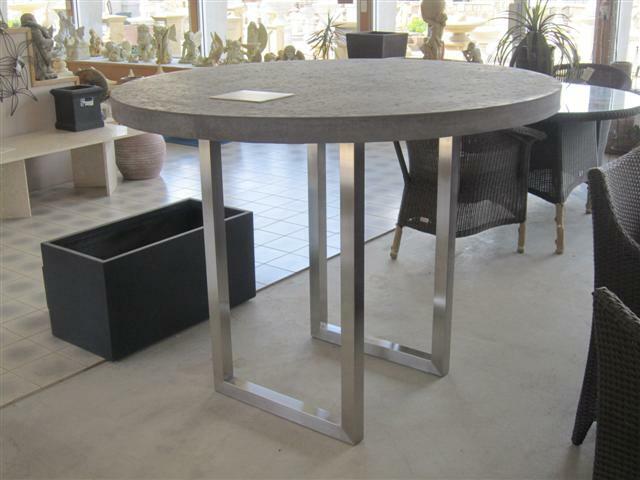 Round Tables Available in Contemporary Square Edge or Bullnose – Ranging in size from 700 diameter up to and including 1400 diameter. Bullnose – Ranging in size from 2000 x 500 up to and including 2400 x 500. Do you have a particular size in mind? Custom sizes may be available please contact the office. 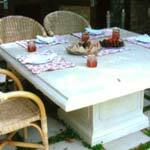 A selection of table legs available can be found listed in our catalogue under tables. 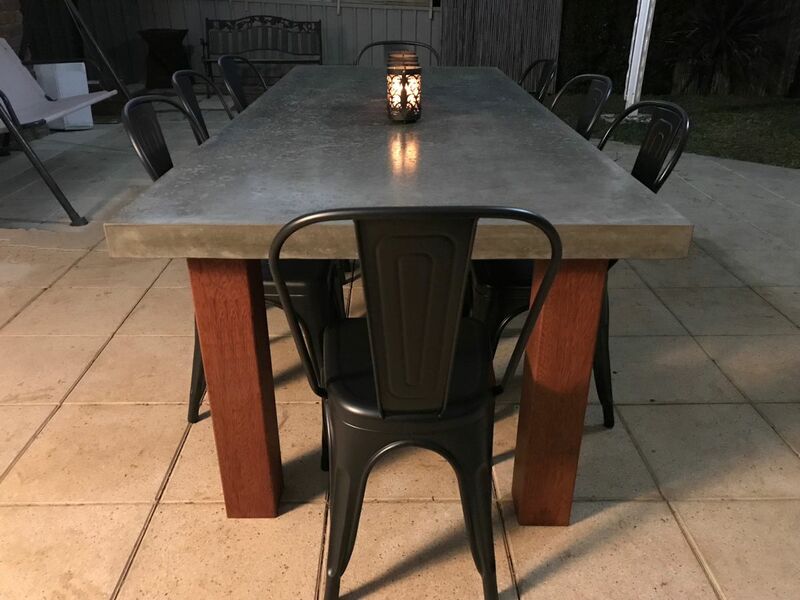 All of the above table tops are available in Tuscan Sandstone, Portland Grey, French Noir and French White and would make an attractive addition to any outdoor or indoor entertaining area. Colour variations will occur within each individual top. 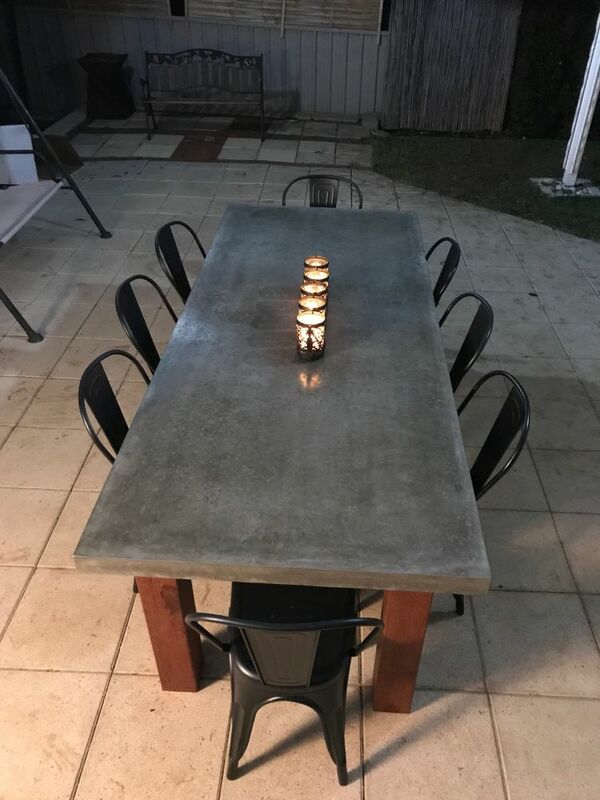 Table top has a pitted appearance to give an aged look. Momenti Chairs (as displayed in last photo) contact office for supplier details. 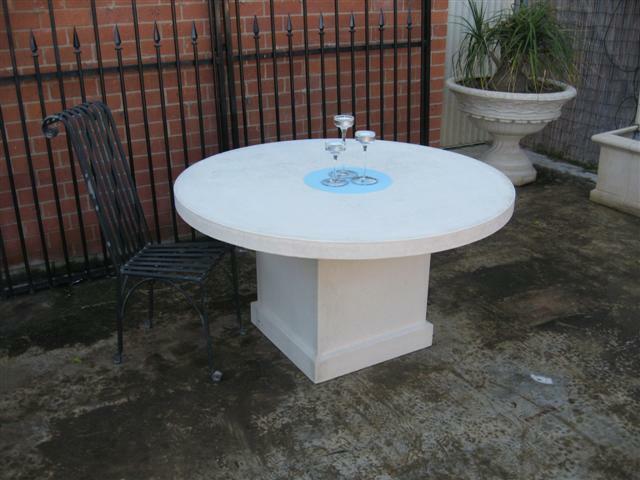 We have available a large selection of pedestals and bases. 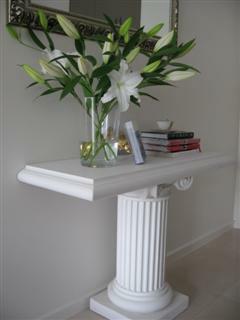 These can be used as table legs or to showcase a beautiful piece of architecture. Also available a range of Hardwood Legs suitable for our rectangular, square and round tables, several different styles of Hardwood timber to select from.